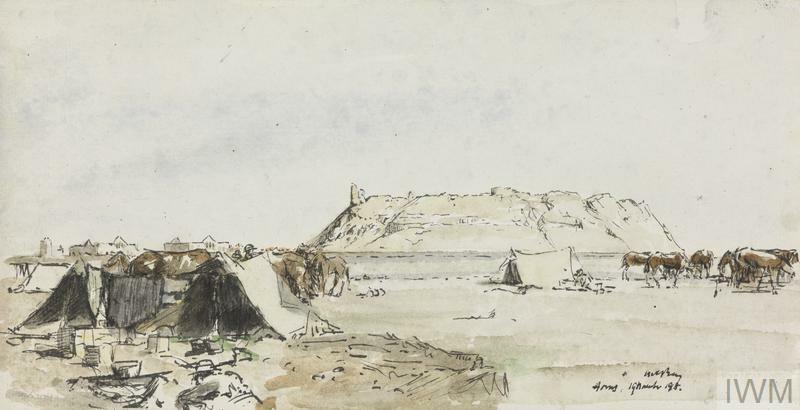 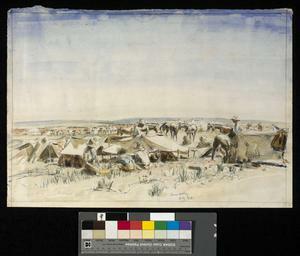 image: A wide view over a camp. 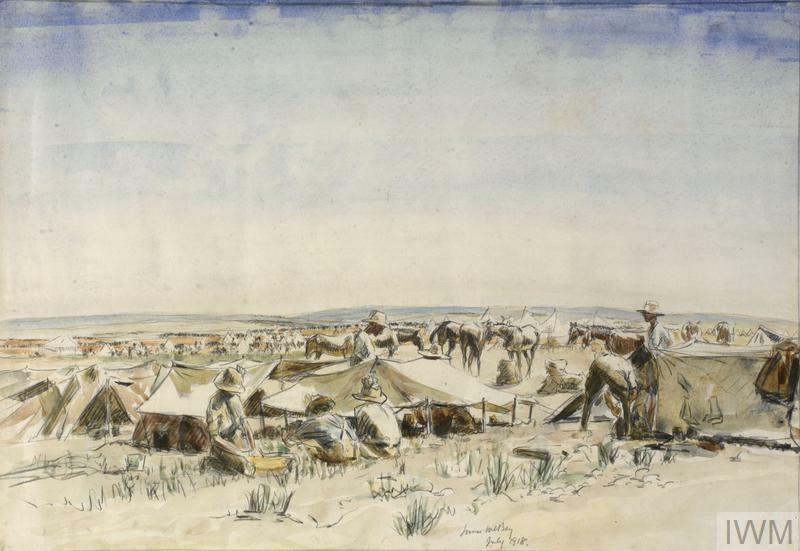 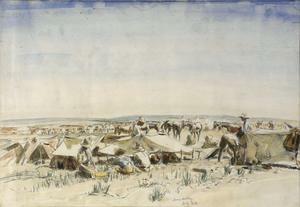 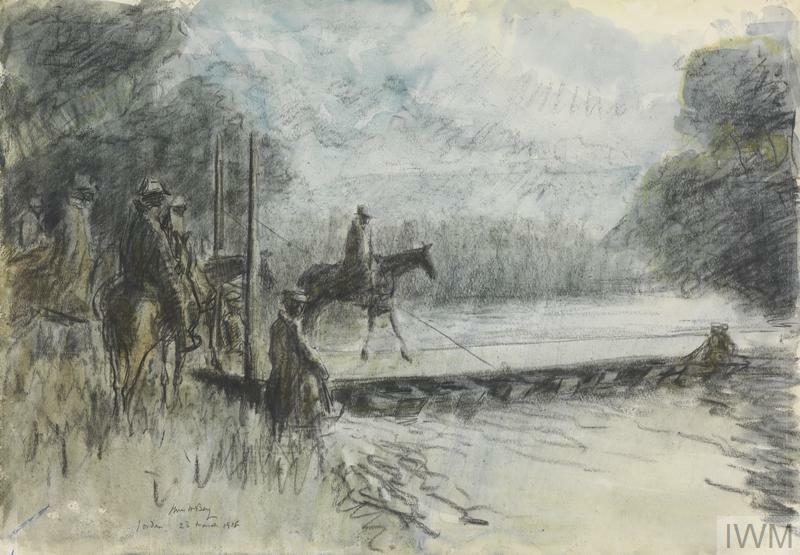 There are horses grazing, and figures sitting outside their tents in the foreground. 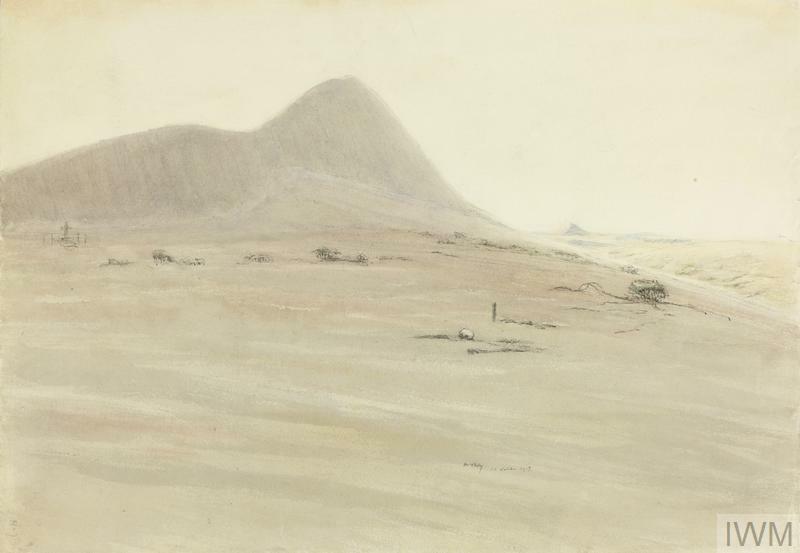 An empty landscape stretches onto the horizon in the distance.